Check out the recent ADTA newsletter, chock full of great info about dance therapy and social media, arts advocacy in the government, inovative research, and lots of reflection about the recent conference in Albuquerque, NM. You can read about my specific contributions on pages 8 and 21. 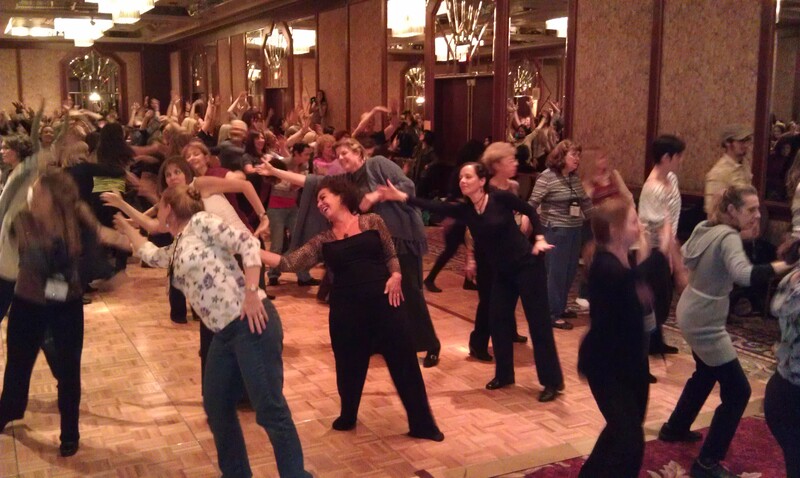 Dance therapy is alive and well in 2012 and stands strong in this tumultuous time in our history. This year’s ADTA conference in Albuquerque, NM was a colorful collage of connection, new ideas, creativity, and deep wisdom. The International Balloon Fiesta was the perfect backdrop for this meeting, as we all felt lifted by one another’s support and enthusiasm. In the two days that I attended workshops I experienced dance through drumming, touch, eco-therapy, clinical assessment, and trauma exploration. Dance as therapy is crucial to the healing of humanity’s wounds; the evidence cannot be ignored. So wherever you are, dance strong, dance loud, and dance often. You owe it to yourself.